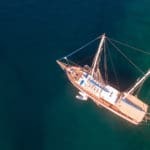 Did you know that you can charter a gulet for short trips to experience a blue cruise in Turkey? While yacht charters in Turkey are one week long, you may not have that much time during your holiday. Chartering a yacht for 4 to 5 days is possible. But you should check with your agent first and find out. Normally these short mini blue cruises are mainly available during the off peak season in April, May and October. 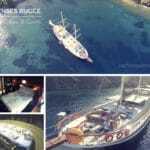 However there are smaller gulets or ones that do not operate as often as others that are willing to accept a short yacht charter Turkey holiday for traveling in the nearby regions. 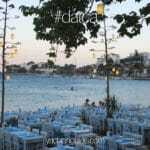 This is particularly possible in the seaside city of Marmaris. Not all travelers can set aside more than a weeks’s holiday time. Having this kind of boat charter holiday will allow you to enjoy the southern coast of Turkey not only on land but also by sea. There are also cabin charter mini blue cruises that start either from Marmaris and go one way to Fethiye; or the other way around. 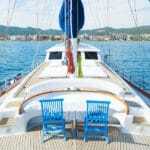 So why not explore your options for a lovely gulet cruise in Turkey this season.